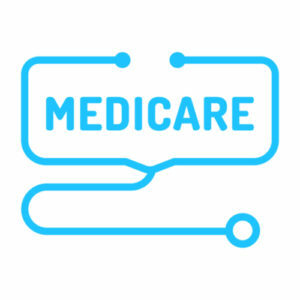 Most Medicare beneficiaries treated in inpatient psychiatric facilities qualify for Medicare because of disability, and they tend to be younger and poorer than the typical Medicare beneficiary. These Medicare beneficiaries live with serious mental illnesses (such as schizophrenia and bipolar disorder), often from a relatively young age. The Medicare program is integral to providing life-saving behavioral health care to those who need it. The Mental Health Liaison Group supports policies that help improve care and access for our most vulnerable populations with mental health and substance use disorders. Issue statements from past Congresses appear below. For statements from the current session of Congress, view the medicare issue statements page. MHLG Thanks Congressional Leadership for Lifetime Limit Ban, 2.19.15. A Mental Health Liaison Group letter supporting the elimination of the Medicare 190-day lifetime limit of inpatient psychiatric hospital care in the FY2016 Budget proposal. MHLG Thanks President and Vice President for Lifetime Limit Ban, 2.19.15. A Mental Health Liaison Group letter supporting the elimination of the Medicare 190-day lifetime limit of inpatient psychiatric hospital care in the FY2016 Budget. Letter to Rep. Stark supporting Medicare Mental Health Modernization Act of 2011. Medicare Inpatient Mental Health Equity Act. Letter to Reps. Tonko & Stark supporting H.R. 2783, 8-11-11. Letter to Sens. Kerry & Snowe supporting S. 374, 2-11-11.